With digital press kits becoming the new norm in PR, the possibilities for design and customization are endless. Does your client’s press kit need a little spring cleaning? Consider these three design hacks to help revitalize your clients’ press kits with media-friendly updates. Creating a fully branded, content-rich experience within a press kit not only makes the kit look great, but immerses the reader in the full brand narrative. The next time you crack open a client’s press kit for updates, consider this: if the reader happened upon a random page of the press kit…would they still be able to identify who the brand is (and how to get in touch or learn more?). If that answer is even a moderate “no,” it’s time to get to work. Pump up your client’s brand personality and ethos in press kits by adding small touches of branding to each page. 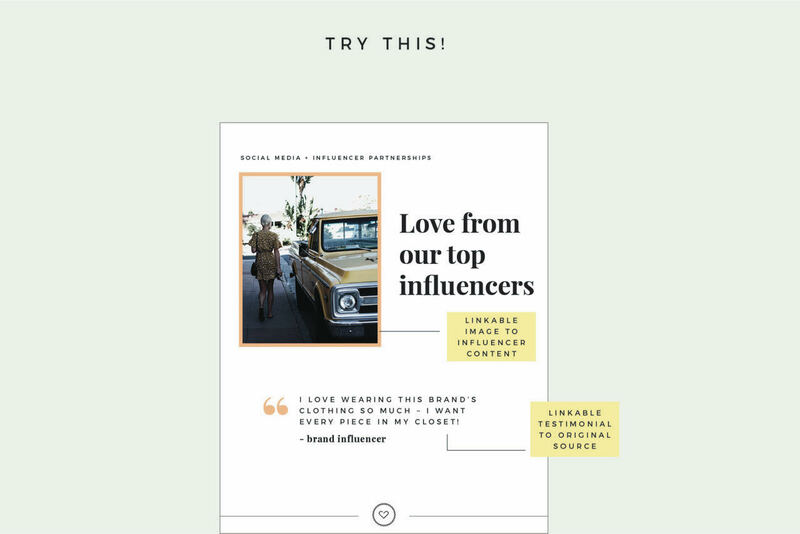 Including brand logo marks, contact information and social hashtags/links into a stylized page footer is a standard design tweak that will always keep your client’s brand top of mind, no matter what. Other enhancements to consider? Include custom brand photography wherever possible and incorporate brand textures and typography into stylized backgrounds and overlays to add dimension throughout. Think of press kits as mini-publications to open up possibilities around content and design. Metrics are important to share in press kits, but let’s face it – reading off row after row of hard data, or having to search it out in a fact sheet can become mind-numbingly dull and easy for an editor to gloss over. Combat any attempt to fly by important client wins by presenting important sales, revenue and product metrics within well-designed, engaging infographics rather than a long stream of analog data. Presenting data in this way is not only impactful, it makes it much easier for media to grab effective stats during feature stories. 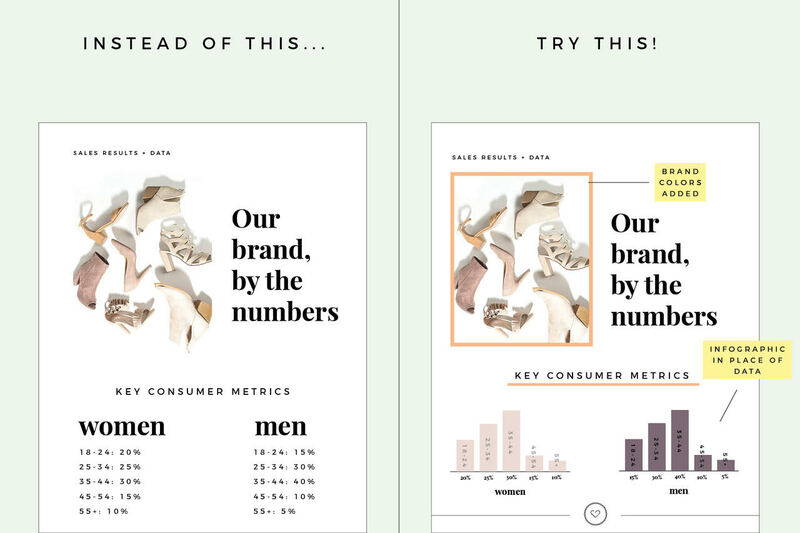 If you aren’t up for building out a custom infographic in Illustrator or Photoshop, no worries – free online resources like Piktochart and Venngage are perfect for creating infographics that will surely grab an editor’s attention. When designing infographics, be sure to keep your client’s brand colors and typography in mind, as these elements should effortlessly translate off the page into eye-catching, data-driven designs. Now that press kits have gone fully digital, embedding links and interactive content within PDFs is a beautiful reality. Rather than focusing on delivering information that will be printed out and stuffed into a folder (ah the good old days! ), consider creating a fully branded experience that solves the immediate what, what, where of press kit 101, but that also showcases brand assets in exciting ways. Don’t know where to start? Here are a few ideas! Overall, aim to design press kits with the end user – or the media – in mind, while also creatively peppering your client’s presence throughout the kit. With a little branding, design finesse and personalization, your client’s press kit will stand out against other industry competitors and increase your odds of landing coverage. 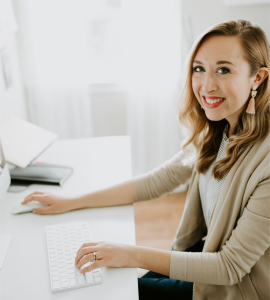 Lindsay Scholz is a brand designer and social media strategist at Lindsay Scholz LLC, where she helps creatives and small businesses establish a purposeful digital presence. Prior to venturing into small business ownership, Lindsay held various roles in PR, advertising and social media with notable companies like national footwear corporation Caleres, Inc. and J. Walter Thompson Atlanta, where her expertise and work in digital marketing was featured by the likes of USA Today, Fast Company and Huffington Post Live. Lindsay currently resides in St. Louis, MO with her husband and two dogs, Brooke and River.